Lesley Page is President of the Royal College of Midwives. She was the first professor of midwifery in the UK at Thames Valley University and Queen Charlotte’s Hospital. She is Visiting Professor of Midwifery at the Florence Nightingale School of Nursing and Midwifery, King’s College London, Adjunct Professor University of Technology Sydney and Griffith University Australia. 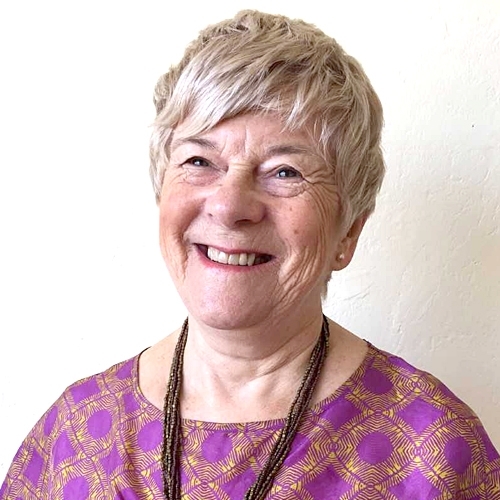 She is a renowned international academic, advocate and activist for midwives, mothers and babies with more than 40 years’ midwifery experience. Lesley received the International Alumni Award University of Technology Sydney in 2013 and was conferred with an Honorary DSc by University of West London in November 2013. In 2014 she was made a Commander of the British Empire (CBE). Midwives with women in the world: the world of women and midwives, worlds within worlds.